Next Post What is a genius anyway? How exciting! An idea whose time has come! If I can’t do this one, I hope it will be an annual event. 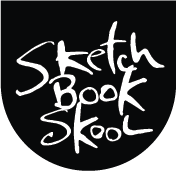 Hi Danny, I’m very excited about Sketchkon, Registered and ready to go!!! One question re: hotel rate – is the quoted price ($213 plus tax) for the full weekend or per night? Thanks!!! I believe it’s per night. It’s a really nice hotel and we negotiated a fantastic discounted rate. Of course, you are welcome to stay elsewhere if that works for you. Sounds wonderful, but can’t afford it this year. Maybe in the future on the East Coast?